Our powerful, new Serious Rewards Checking account pays you 2.00% interest on balances up to $10,000 â&#x20AC;&#x201D; guaranteed through December 31, 2015. Simply open your account online, and then make a minimum of 10 transactions of any type each month, including debit card purchases, deposits, checks and automatic payments. You will automatically be enrolled in online banking, receive e-Statements and get a VisaÂŽ debit card. You will also be eligible for other online banking features including bill pay, text alerts and mobile banking. Weâ&#x20AC;&#x2122;re serious about making your money work for you. And you wonâ&#x20AC;&#x2122;t need to roll over, play dead or jump through hoops. reflect, renew and remember... While fall is coming to an end, we reflect on the enjoyment of living in the Puget Sound area and the arrival of the holiday season. There is much to do while you’re out and about preparing for the holidays, with each day bringing exciting changes and an abundance of entertaining activities for the entire family. 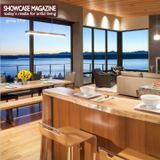 So sit back, relax and enjoy this issue of ShowCase Magazine... where it is all about the art of living. In this issue we highlight community and cultural arts, cuisine and fresh ideas for the gift-giving season; from gifts for your co-workers to presents which will delight your family. Speaking of family, will you be visiting aging parents during this season? Consider our thoughtprovoking article on caring for aging loved ones, with an emphasis on early conversations about elder-care needs. If you’re looking for ideas for your home style, you will appreciate Stefanie Brooks’ expert tips on “Living Your Style” to revive your home for the winter season. With all the holiday merriment that this season brings, please take a moment to remember those who are less fortunate. Volunteer your time or resources to a local organization or consider adopting a family or senior citizen in need. Whatever you choose to do, it will make someone’s season a bit brighter. community events | zoobilee Nearly 2,000 supporters enjoyed food and drink donated by 59 Tacoma-area establishments and danced the night away on four stages. The Point Defiance Zoo and Aquarium was decorated in majestic jewels, bamboo and lights. The evening included a Thai classical music ensemble and airbrush artists who painted clouded leopard paw prints on patrons’ arms. Zoobilee 2011 also featured a bustling Thai market with Zoobilee’s first ever craft beer festival and the signature drink, “The Pounce,” a cocktail with an exotic kick. The evening’s festivities raised over $291,000 in cash and close to $400,000 in donated goods and services for Point Defiance Zoo & Aquarium. artist spotlight | jake shimabukuro It’s rare for a young musician to earn comparisons with Jimi Hendrix and Miles Davis. It’s even rarer to find an artist who has entirely redefined an instrument by his early 30s. But Jake Shimabukuro has already accomplished these feats, and more, in a little over a decade of playing and recording music on the ukulele. In the energetic hands of Shimabukuro, the traditional Hawaiian instrument of four strings and two octaves is stretched and molded into a complex and bold musical force. On his most recent album “Peace Love Ukulele” (which debuted at No. 3 on the Billboard World Album Chart), Jake and his “uke” effortlessly mix jazz, rock, classical, traditional Hawaiian music and folk, creating a sound that’s both technically masterful and emotionally powerful—and utterly unique in the music world. Jake Shimabukuro is a ukulele virtuoso whose covers and original works make a niche musical genre show universally loved. Expect him to coax unexpectedly complex rhythms, moods and harmonies out of his instrument’s two-octave range during his performance at the Rialto Theater in Tacoma on January 20, 2012. broadwaycenter.org LEAH GROUT What do you hope people take away from your music? I hope listeners experience the same joy that I’m experiencing while strumming the ukulele. The ukulele is one of the easiest instruments to play. Anyone can pick it up for the first time, learn a couple chords and immediately start strumming songs. It’s so relaxing. I always tell people that playing the ukulele is like an entire yoga session in one strum. When did you first pick up the ukulele? I first picked up the ukulele at the age of 4. My mom played and taught me my first few chords. I started out strumming mainly traditional Hawaiian music as a child. But later, I enjoyed the challenge of trying to play other styles of music like rock, jazz and classical. style. I love all forms of music and try not to get locked into one genre. Bill Cosby inspired me to be a solo performer. Cosby could simply sit in a chair with a microphone, tell stories and bring joy to millions. What do you hope to accomplish with “Peace Love Ukulele”? I believe the ukulele is the instrument of peace. If everyone played the ukulele, the world would be a better place. When it comes to helping your elderly loved one and broaching the next step in living options, Stella Henry, R.N., author of The Eldercare Handbook, says that many seniors unrealistically believe they can take care of themselves for the rest of their lives. And that’s where their children or other family members can be instrumental in identifying the problem and instigating change. No matter what your parent’s age, Henry and other experts say that now is the time to begin communicating about the future. “If you open the lines of communication early on, it is an easier process overall,” says Donna Baker, General Manager of Colonial Inn of Olympia. “Not to mention, you want to start the conversation early so that the parent is making the decision rather than someone else. You want to avoid a situation where it comes down to a crisis state of affairs.” Baker continues, which could result in confused elders, disorganized yet well-meaning children, and a family in chaos. Debbie Baker, Director of Community relations at the Weatherly Inn Tacoma, outlines the following five factors to consider with your parents when evaluating living options: Location: It is best to look first at options in close proximity to your home. Your aging parents may want some privacy, but this does not mean they want isolation. Budget: Retirement communities can be expensive, but by evaluating all your resources and needs you will be able to make educated decisions. Keep in mind that in Washington, facilities see a 2–4 percent average annual rate increase, which should be planned into your budget. Ă&#x160;iĂ&#x153;iÂ?Ă&#x160;Â&#x153;vĂ&#x160;Ă&#x152;Â&#x2026;iĂ&#x160;-Â&#x153;Ă&#x2022;Â&#x2DC;`Ă&#x160;qĂ&#x160;vĂ&#x20AC;Â&#x153;Â&#x201C;Ă&#x160; v>Ă&#x20AC;Â&#x201C;Ă&#x160;Ă&#x152;Â&#x153;Ă&#x160;Ă&#x152;>LÂ?i]Ă&#x160;"Â?Ă&#x17E;Â&#x201C;ÂŤÂ&#x2C6;>Ă&#x160; >Ă&#x20AC;Â&#x201C;iĂ&#x20AC;Ă&#x192;Ă&#x160;>Ă&#x20AC;Â&#x17D;iĂ&#x152;Ă&#x160;vii`Ă&#x192;Ă&#x160;Â&#x153;Ă&#x2022;Ă&#x20AC;Ă&#x160; VÂ&#x153;Â&#x201C;Â&#x201C;Ă&#x2022;Â&#x2DC;Â&#x2C6;Ă&#x152;Ă&#x17E;Â° OPEN WEE KENDS TH ROUGH December 19 th LAST MINU TE SHOPP ERâ&#x20AC;&#x2122;S DELIGHT December 22 , 23, 24th! Bringing life to ďŹ&#x201A;owers for over 25 years. “Mediterranean” at Boccata Deli and Market means not merely Italian, but also Greek, French and Lebanese. Owner Darin Harris grew up in Centralia and spent time in kitchens in Seattle and surrounding areas. After gleaning firsthand knowledge of Italian cuisine in Italy, Harris returned to Lewis County to open Boccata. He and a small, close knit staff offer lunch and dinner at the informal eatery, now in its seventh year. Traditional Italian-style meats produced on the West Coast, fresh produce, imported cheeses and hand-formed loaves of preservative-free artisan breads elevate Boccata’s made-toorder sub sandwiches, hand-tossed thin-crust pizza, salads and pitas above standard deli fare. Table service, cloth napkins and a worthy wine list—featuring Widgeon Hill Winery and Portuguese, Italian and French wines—make for more refined evening dining. 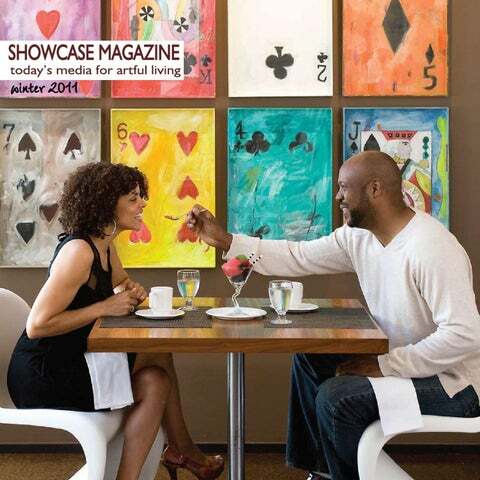 Boccata also offers live jazz piano and acoustic guitar on the weekends. 3)Reflect – Add a little sparkle to your home by using metallics such as bronze, silver or gold. A gold threaded silk taffeta drapery, a large silver serving dish or a bronze lamp with a great shade. 4)Refresh – Change up your palette by painting a wall or adding a wall covering to your space. It is one of the least expensive ways to freshen up a space. Choose warmer earthy tones in the winter. 5)Replace – Dated light fixtures? Start with replacing one in the entry or dining room, with a current style and updated finish. Another way to enhance the lighting throughout your home is to add a dimmer switch to areas such as the living and dining rooms. 6)Restore – garage sales, thrift stores and local antique shops are a great place to start for that one piece that will be unique to you and your home. live your style turn your home into a winter retreat When temperatures dip outside, it’s time to cozy up inside. Interior design expert Stefanie Brooks offers ideas to warm up and add your style to every room of your house. that lasts throughout the years. However, the upholstery tends to get worn, faded or simply dated. Put a new spin on the piece with selecting a great fabric, adding a trim or changing the stain color. Over the past 10 years that Lara Anderson and Kathy Lathrop have worked in home décor and design, one thing has stood out: great lamps with awful shades can ruin a room. In keeping with their mutual desire to create beauty in people’s lives, Anderson and Lathrop started dreaming up ways to solve this common style problem, since purchasing brand new lamps and shades is costly. Red Door, with an eye for fabulous, blends fresh color, bold texture and style bringing repurpose to vintage furnishings at a conscious price! Back by popular demand the Legend of Tinsel Christmas Spider. Red Door is dressed for the holidays and full of unique one of kind gifts for everyone on your Christmas list. >`Ê	ÃÌÀ Everything for your home, from our Courtyard Home! Quality antiques, rustic and weathered, old and new will delight shoppers. Over 70 dealers, create pleasing displays of home décor, furnishings, accessories, gifts and more! Courtyard Antique Mall, a unique shopping experience in Olympia! The Morales Agency Family and Cosmetic Dentistry | Teeth Whitening State of the Art Technologies WE CREATE SMILES FOR A LIFETIME Choosing the right dentist is an important decision. At Rainier Dental, we are here to serve our patients in a courteous, professional and kind manner, to let our patients know they are valued and to develop relationships to last a lifetime. Whether you are selecting a gift for your family or a dear friend, the ShowCase staff has searched all over town for the best gifts this holiday season. (253) 230-6464 or (253) 678-2366 Ask about our eyelash certiďŹ cation training!